Recent research suggests you are ten times more likelihood of succeeding with New Year’s resolutions if you explicitly commit to them (such as by writing) vs. just thinking about them – it’s the difference between intention and commitment. How incredible is it that 46% of those explicitly making resolutions are maintaining them after 6 months vs. 4% of those who don’t? That seems like pretty good odds to me – you have nearly a one in two chance of long term success with a resolution if you write it down! Enter and train specifically for 4 marathons or ultras, at least one international, in locations on my list of places to travel to. Post on training, racing, eating, travelling, and hopefully useful “life hacks” like this once a week. Have folks over for a dinner I will cook using at least one new recipe once a month. So far, (if I can count New Year’s Eve!) I’m off to a good start. 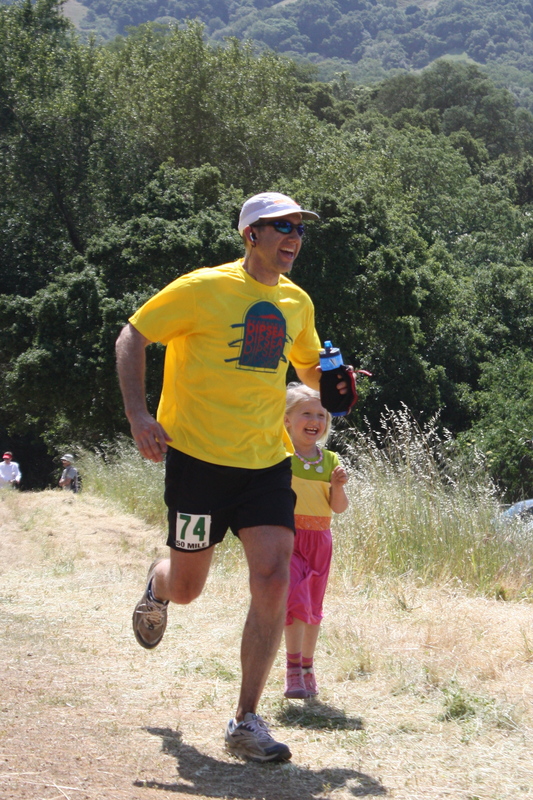 Entered the Napa Valley marathon for 3/1, the Gorges Waterfalls 50k on 3/31 on the Columbia River, and the Swissalpine K78 in Davos, Switzerland. I’m hoping to get into the UROC 100k on 9/28 from Breckenridge to Vail. That’ll take me to Colorado destinations like Vail, and Oregon destinations like Bend and Ashford (I’m planning an awesome running and craft brewery road trip around Oregon after the 50k) and a chance to visit Switzerland and see the alpine stages of the Tour de France. Resurrected this blog with this post and a list of topics. Cooked for 4 last night from a bevy of new cookbooks that I received for Christmas 🙂 Zuni Cafe’s cookbook Roast Chicken with Bread Salad along with Roasted Root Vegetables and a Squash, Farro and Black Rice salad from Thomas Keller’s Ad Hoc at Home. Ok. I’m committed. What are you committing to? 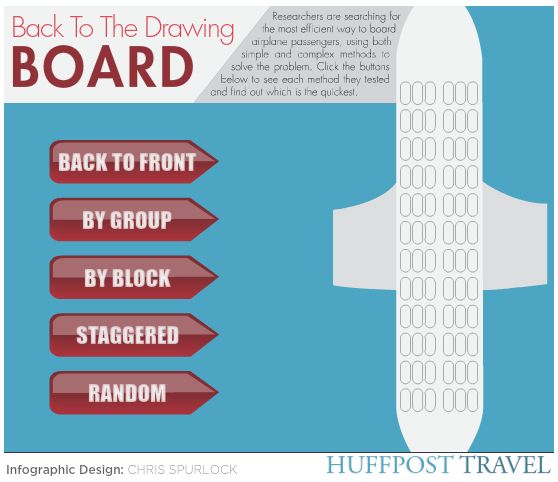 An unlikely idea for improving airline boarding – help us! I’ve regularly experienced Southwest boarding passengers in 10-15 minutes with no assigned seating. And I’ve regularly experienced large carriers like United that board by rows taking 30-45 minutes. Why? Bags travel free on Southwest so there’s less demand for overhead space. And as others have noted, unassigned is faster and surprisingly better than assigned seating. I’ve never had a bad seat on Southwest with no status, whereas unless I’m Gold status (50K miles/year) or above on a large carrier, getting a good seat is a source of stress, which is only multiplied if you’re travelling with a family – on 5 of 5 recent trips our booking has been split by the airline despite our requests to keep them combined. On airlines like United, first class and then all the myriad tiers of frequent fliers board, often filling all the overhead space and then having to swim upstream back to front of plane as the remaining non-frequent fliers try to get to back of plane, and discover there is no space for their bags and then they have to swim upstream to check their bags. The last minute upgrades to First Class and serving of drinks and hanging of jackets add additional delays to the boarding process (although the latter two are not an issue on 757s and larger where the “lower classes” don’t have to walk through First to get to their seats). On deplaning, the problem is reversed as frequent fliers now have to go towards the back of the plane to retrieve their bags against the stream of the deplaning passengers. If you’re a frequent flier, you’re only getting on the plane early to make sure you can get your bag in the overhead near where you are sitting. The whole process is inefficient and unpleasant for everyone. Idea: (If they don’t want to follow the superior Southwest model, or won’t make the overhead storage bigger and/or enforce a smaller overhead bag) Could baggage handlers load the carry on bag into the overheads near the assigned seats and gate check the bags if they don’t fit? Then board from the back to the front, and from the windows to the aisles. Not a solution for late arriving aircraft and will add tangible costs of extra labor vs. intangibles of delays. But would be a nice service improvement. 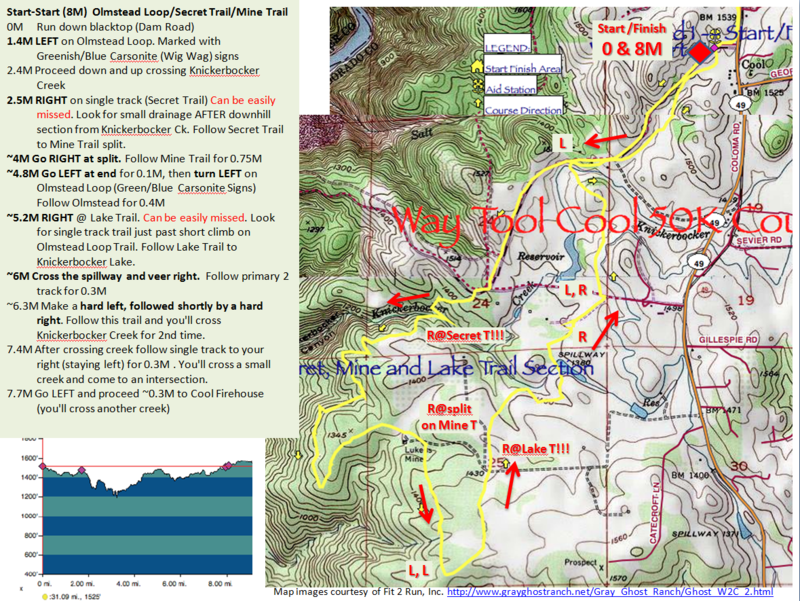 I’m one of the lucky ones who got into Way too Cool 50K next Saturday. The official course map I found hard to read, and a little annoying in the way it was cut up. 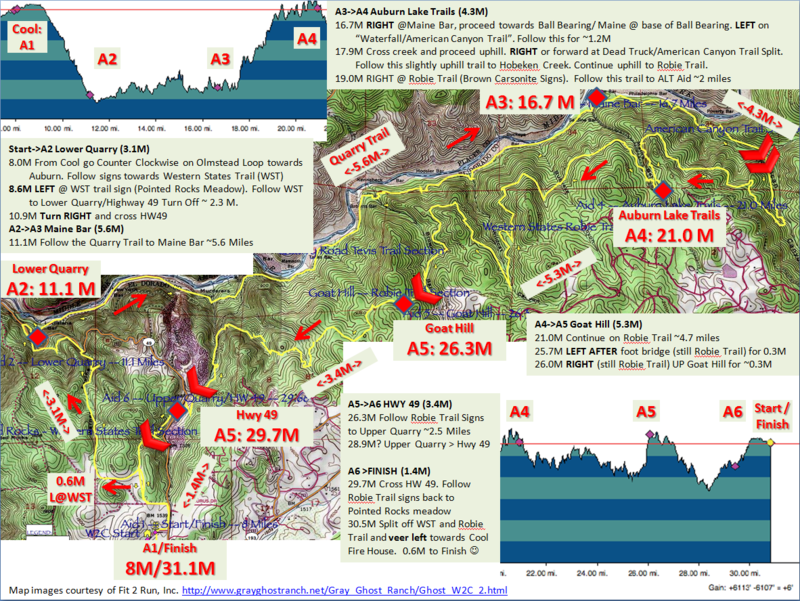 Personally, I like to see course elevation, directions and distance between aid stations all on one page. It appears the first loop is more prone to errors than the rest of the course despite being only 8 miles, judging by the directions, so for these reasons I put the first loop on page 1 and the second on page 2. Obviously a huge thanks and credit to the writers of the instructions, and the Fit 2 Run, Inc. folks who did the topo maps, hence the source credit on the bottom of each page. Please let me know of any errors you find, or if you know the actual mileage marks of some of the turns as I had to guess some of them by eyeballing the map and interpolating the instructions. I’ve uploaded it as a PowerPoint show (.ppsx) so you can edit in PowerPoint with your own annotations or just print it as is. If you’ve read Born to Run , and you’ve been overcome with a desire to throw your expensive, cushioned running shoes away and run barefoot, you’re not alone. Barefoot Ted, profiled in the book, was running a couple of clinics down at ZombieRunner, in Palo Alto, and it seemed too much like serendipity not to give it a try. (In case you’re wondering how much he’s like the character McDougall profiles in the book, well he sure can talk, but he’s more humble and less frenetic in person, which was a nice surprise. He was sporting a rather large silver monkey necklace, inspired by the El Mono animal nickname he picks up in the book. Ted was of course barefoot, and the feet are not freakish as you might suspect from years of being barefoot, rather they appeared very smooth, as if coated on the base with a supple leather. No one got to actually touch them! Also, ironically, Ted claims to now have more shoes than he ever did before gaining notoriety, because all these shoe companies are sending him their back to nature shoes, seeking his endorsement.) Final sidebar, Zombie Runner offers fantastic espresso available from a small cafe station within the store, an unexpected supplement to a very nice collection of running gear and excellent service. Barefoot running is full of surprises. If you’re like me, you probably have this mental perception some part of your body is going to break if you try running or jumping without the protection of your running shoes and orthotics (if you have them). If you’re going to be crazy enough to run without shoes, surely you start on nice soft grass? Not so. It’s a “mystery surface” according to Ted. You never know what bumps, sticks, insects, or sharp objects might be hidden amongst all that green plushness. So we started on asphalt. We started walking first on our heels and then on our forefoot and back again. You can literally feel the impact up through your heel, calf bone all the way to your knee when you heel strike. Ouch! You instantly know instinctively that you couldn’t possibly run with a heel strike without a cushioned shoe. Running barefoot is such a surprise. I dare you not to break into a smile the first time. Maybe not quite as ecstatic a leap as in the picture. It’s like one of those other incredibly liberating physical experiences, a flow moment, where you feel like a kid again, in touch with the earth and your body. Like in the book , you start with easy, and go for smooth. Ted has a post on the technique. Small, quick footsteps, fast cadence (about 180 steps per minute). Touch ground for the shortest possible period, with least possible noise. Imagine you’re hunting – you can’t surprise the prey if you’re feet are slapping loudly on the ground. Core strong, arms pumping straight back and forth. We ran back and forth and received our critiques. We also jumped up and down some concrete stairs at the Caltrain station. I found this terrifying at first, but it rapidly builds confidence. Jump deliberately and stop between jumps. Use your arms to counterbalance. The trick to transitioning to barefoot running seems to be building up to it slowly. You don’t just head out for 6 or 10 miles tomorrow. Start with barefoot around the house. Then maybe walk the dogs barefoot. Then start at 1/2 a mile and gradually add distance. Tendons, muscles and skin in your feet and legs will adapt. I don’t really understand how it works (the foot is an architectural marvel), but it feels good enough to keep working at it. Thank you Ted. Let me know if you’re interested or given it a try yourself. I’d love to hear about your experiences. When your brain tells you you’re done, it turns out you’re not. Just like in a car, it’s a conservative safety measure designed to make sure you always have something left, even when you think you don’t. If you’ve ever worked out, you’ve probably experienced this. If you can quiet the mind, you can always do a few more reps. Sometimes people on drugs chemically turn off the safety valve and exhibit superhuman strength. To me, this explains what ultrarunners do when they find a way to keep going. If you’re running for 8, 10, 12, 18, 24, 36, even 48 hours, you’re going to run out of steam at least once . Like the example of Scott Jurek, arguably the greatest ultranunner ever, 7 time champ of the premier 100 miler, Western States, lying down exhausted in the “world’s toughest foot race” the Badwater 135 mile race from Death valley to the portals at Mt Whitney. As retold in Born to Run , he was way behind the leader, he has a conversation with himself while lying on the ground, gets up, and somehow finds a way to not only keep going but to blow the competition away and win. In my upcoming 50 miler, if I end up feeling like I can’t go on, I hope the voice in my head says “keep going” 🙂 At any rate, it’s handy to know my brain is just trying to trick me, and if I dig deep, should be able to tap into that reserve tank. 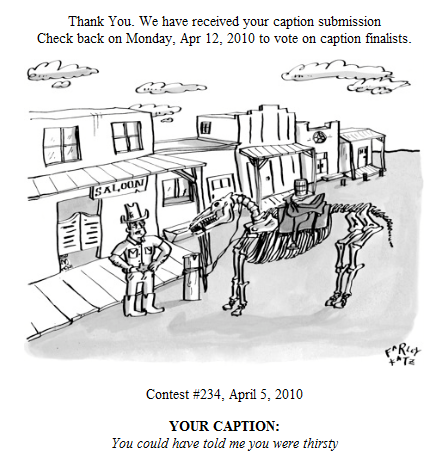 Since reviewing Dan Pink’s A Whole New Mind , I’ve been waiting for an opportunity to enter the New Yorker’s Cartoon Caption Contest. (See my review of the Play section here). It should be no surprise that the finalists aren’t necessarily the ones you’d consider the funniest, as humor is a product of our cultural and family backgrounds. I have no idea how many vote each week, and can only guess at the profile of New Yorker readers. What is awesome is that you can see all 200 or so entries in any given week here, and order a t-shirt with your favorite caption. The creativity is phenomenal, and I think this is a great way to get a laugh and revel in the collective brilliance of humanity.